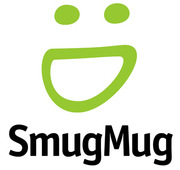 download_smugmug_album.sh is a simple little shell script that downloads entire photo albums from SmugMug. Just give it the username and album ID and it will download the album’s feed, extract the links to the full-size pictures, and download them one by one. To find the username and album ID, look at a SmugMug URL for the album. For example, in http://foo.smugmug.com/Bar/Baz/123456_XXyyZZ#!i=..., the username is foo and the album ID is 123456_XXyyZZ. This script is dirt simple. If you’re looking for something robust and full-featured, you probably want an RSS reader that supports enclosures or a dedicated web photo downloader instead. This blog comment was useful in writing this script. I also initially looked at smugget, but it requires an account. SmugMug supposedly supports anonymous login with any account’s username, but I didn’t manage to figure that out.